On Tuesday, we kicked off our next cycle of rotations for the 2018 winter semester. Students take rotation classes during 5 select homerooms. They rank their preferences, and we do our best to assign students to one of their top choices. In addition, as part of the rotation cycle, each student attends a Test Prep session, designed to help them prepare to perform better on standardized testing. This year, we have several new rotation offerings, including a Fly Fishing class led by Mr. Williamson, and I Love Kindergarten, a class re-exploring the joys of being five with Saturday cartoons, cereal, and coloring led by Mr. and Mrs. King. Ms. Holmes also started offering a new board games class, which seemed to have a lot of fun playing Taboo! this week. Finally, this year we also added a new Engineering offering, led by our Upper School engineering teacher Mrs. Heaton. This class will be completing a different engineering project with Mrs. Heaton each semester. Of course, many of the old favorites from the last few years are back, including Disc Golf, Ukulele, Knitting, and Gardening. Rotations can be a lot of fun, and we are excited for students to be able to explore something they love or are interested in, as well as get a "brain break" from their daily class schedule. It's been another great week in the middle school. This week, we've begun to get a better grip on our new A-B block schedule. We enjoyed meeting many parents on Meet the Teacher Night, and a lot of our fall sports teams got rolling. And we got to enjoy exploring our new chapel theme for the year at Chapel Kickoff Week. One event that we enjoy an extra special amount this week was a visit to Little Harding. A group of middle school students went to Harding's Pre-K locations at White Station and Cordova. The little kids were getting a visit from a school bus. While it was there, our students helped the littlest lions get on and off the bus, played with them, loved on them, and even sang Wheels on the Bus. We enjoyed getting to spend time connecting with these littlest lions, and can't wait to do it again soon. This week we enjoyed the start of our third year as a distinct middle school. On Monday, we opened the school year with some middle school orientation activities. We refreshed everyone's memory on middle school rules and expectations, did some iPad training, met our new Houses, and played some fun games. Also this week, we began using our new PE/Sports block. Using this flexible block of time at the end of each day, students can have an additional band or chorus practice, go to PE, or practice for their in-season sport. Although we are still working out some of the kinks, we're still very excited about the possibilities of this time. For example. all middle school students are done practicing for sports and ready for pick up beginning at 3:30 (Cross Country finishes at 3:00). We also practiced some of our new security procedures, learning which doors to enter and exit. As a reminder to parents, any middle school student entering after 8:00 am must enter through the front door (with the flagpole) and buzz-in with Ms. Kathie. They will then proceed to the Student Services Office to check in. Next week we have Meet the Teacher Night on Monday, with an info fair starting at 6:00. If possible, we encourage you to come out and meet our teachers and learn more about academic expectations in each class for the year. It's been busy around Harding Middle School. As our final quarter is already over half-way over, there's a lot of assignments emerging as our year draws to a close. This past week, Dr. Frizzell's 6th graders presented their projects on East Asian architecture. The students created 3D models, as well as researched the buildings and their cultural significance. We love when our students have the opportunity to use their hands and be active. A very grateful thank you to all of our parents for their involvement in Teacher Appreciation Week this week. We are blessed with some very talented educators, and are so grateful for parents who want them to feel appreciated and loved. This past week, middle school re-affirmed some hallway and morning-time procedures for hallway etiquette. Some of these have been things that have slipped some of our students' minds this late in the year, but if you hear about frequent reminders from teachers about hallway decorum, that's what that is. Also, we added a new component to our day, Oval Time. Each day as the first bell rings, all of middle school has formed a large oval in our hallway. Then, a student volunteer leads a prayer or reads a scripture. We love this time as its a great way to focus our day by beginning with what truly matters. We're still working on this becoming second nature, as some of our students have forgotten a few mornings, but we know we'll get it down. We appreciate our student leaders for their role in this. Finally, Academic Awards day is coming on May 2nd in the O.O. Emmons Auditorium. Students who are receiving an award should have already received a note to take home notifying you so it can be on your calendar. Thanks as always for all of you parents for your continued involvement and support. We're almost there! Wow it has been a long time since we've posted! Ooops! Sorry about our lack of communication. It has been busy around here. After we all came back from a hopefully restful Spring Break, we dove right back into the action. On Tuesday and Thursday of this week, every student took achievement tests. These tests help us as a school see how our curriculum is comparing with the national norms, and identify areas for improvement. To our students, it helps us see if there are any problem areas developing for any of our students. We are so grateful to all of our parents who sent breakfast foods, snacks, and helped clean and serve. We couldn't have done it without you! The kids were well-fed and well-rested. It did get pretty interesting when the fire alarm went off during the tests on Thursday, but the students seemed to manage well despite the distraction. On Tuesday and Thursday after the achievement tests, middle schoolers completed service projects: writing letters of encouragement to the upper school, decorating school hallways with encouraging signs, cleaning up common areas, and more. We also had Bridges come in to run some team-building and leadership development activities. We all had a good time, and students began to work and think about their strengths and weaknesses as team players. Report cards should go out today (Friday), and fourth quarter is now officially under way. Let's finish the year out strong! We've had a fantastic week in the middle school. This week, we got to visit the University of Memphis. Although the trip was not exactly what we expected, it was still a great experience for our students. They heard from Mr. Steven Mizell at the university, who reminded them that they need to be setting goals and planning for school now, instead of waiting until college is upon them. They also got to explore all over campus with a fun scavenger hunt. Oh yeah - and we also watched a basketball game. It was a fun day, but also a very important one to set foot on a college campus and begin to see what may lie far down the road. An extra special thanks goes out to all of our parent volunteer chaperones for making Wednesday possible. Also, don't forget that it's re-enrollment time! We are deep in planning for next year and hope to make it even better. A key part of this is knowing who's going to be here, so we appreciate you taking care of re-enrolling online soon. Plus, if you re-enroll before February, you will receive the Lion Pride discount of $300. Links to re-enrollment are on the Harding website. For a student to be dismissed during the school day, a note from the parent must be presented to the Student Services Office. Unless a student has his own transportation, a responsible adult must sign the student out of school. Notes of dismissal will be subject to confirmation by telephone at any time. When a student is absent the first part of the day, but comes to school for the remainder of the day, the parents must notify the Student Services Office of the reason. The student should go directly to the Student Services Office to receive a late arrival slip that is to be signed by all teachers whose classes the student missed. Failure to return the signed slip to the Student Services Office before the end of the last period of that same day will result in an unexcused absence. The early dismissal and late arrival slips are are designed to allow the student the opportunity to gather assignments or to make arrangements for make-up work. Welcome back everyone! We hope you had a wonderful and restful Christmas break. Report Cards became available for viewing on Parents Web today, and with that we take a last glance and last semester, and set new goals and start fresh for semester two. We've got several exciting events coming up I want to put on your radar, as well as share our dates for next year's class trips. 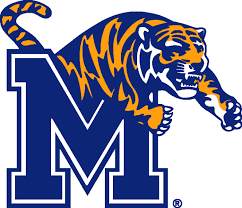 On January 24th, all students who have returned permission forms and $5 will travel to the University of Memphis for a college experience, including touring campus and watching a basketball game. It's never too early to start thinking/dreaming about college. On February 5th, our 8th graders will travel to the National Civil Rights Museum and Tom Lee Park as part of a Black History Month experience that dovetails with what those students will be covering in their American History class. On February 6th, our 7th graders will be taking the Otis-Lennon School Ability Test (re-scheduled from earlier this year). Remember, this is not a test you study for, as it measures ability, not achievement, but it's still always a good idea to get a good night's rest and a healthy breakfast. Finally, next year, our 6th grade class will travel to St. Louis, 7th to New Orleans, and 8th to Washington D.C. While prices should be set very soon (waiting for confirmation from our tour company), the dates are set. So if you are planning to chaperone, we encourage you to go ahead and get it on your calendar, and spend some time traveling with us :) Similar to this past year, Middle School will be closed while all three classes are gone, so parents will be responsible for childcare for any student who does not go on the trip. * If you are curious, Fall Break for next year is October 8-12, immediately following these trips. I hope everyone feels good about the exams they took. Christmas break is a great time to recharge your batteries, getting ready to start strong to a new semester in January. School resumes January 3rd, with report cards going out January 5th. The middle school office will not hold regular hours over the break, but I will be accessible by email with anything urgent. This past week, we enjoyed our last rotation classes of the semester. Rotation classes take place periodically during homeroom, and are an opportunity for students to explore some fun interests, grade and homework free. Our baking rotation, led by Mrs. King, put on a holiday dessert luncheon for Cherry Road teachers. It was delicious! Our archery rotation, led by Mr. and Mrs. Whartenby (Brendan's parents), took aim at some targets. And of course, Mr. King's I love Memphis rotation visited the Botanic Gardens. We hope everyone has enjoyed their time in rotation. In January, we'll sign up again, and there will be some new offerings as well. Don't forget, this is our last full week of classes before exams. If you haven't had a chance yet, be sure to review our exam information located here. Here's hoping for blessings and success as we strive for the finish line in two weeks! To contact the Harding middle school, you may call our office at 901-767-4463. You can email Dr. Scott Frizzell or Mrs. Dawn Gilreath as well. Finally, you can come visit us at 1100 Cherry Road, 38117. Our office is located on the second floor by room 200.